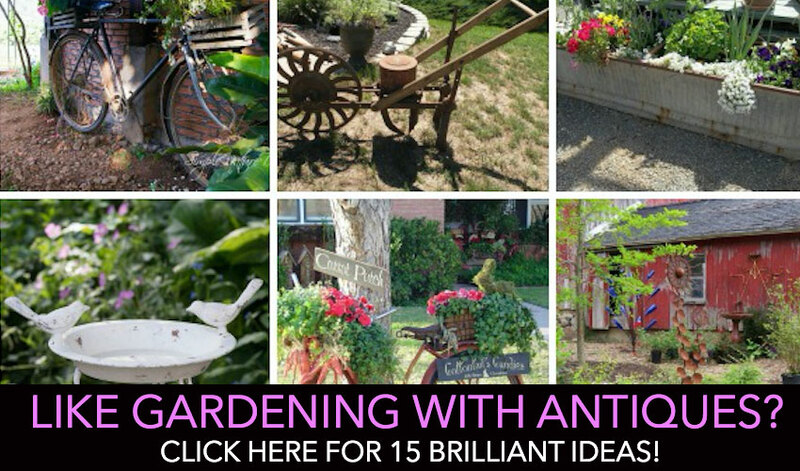 If you’ve got a fenced in yard, you’ve got a perfect opportunity to expand your garden in a truly unique, attractive way. 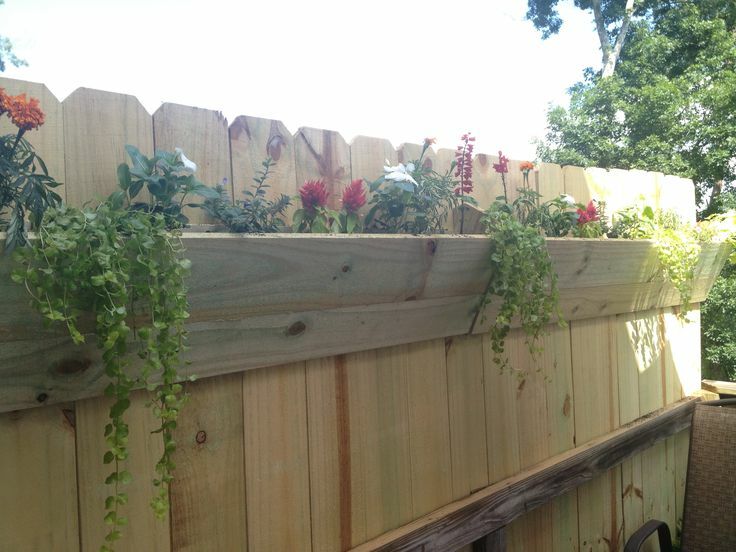 Whether your backyard is compact or expansive, there’s always room to add more beautiful plant life with fence planters! 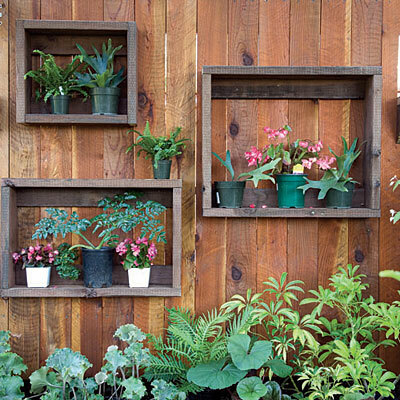 This can be done in a variety of ways, from store-bought planters designed for this purpose to homemade solutions such as up-cycling pallet wood or crates. The possibilities are endless when you get going. 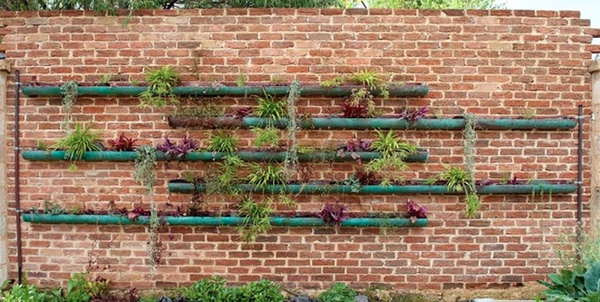 Below we’ve shared some of our very favorite creative fence planters from around the world, including the wildest DIY projects we’ve ever seen. Whether you’re looking for something simple or aiming to put put your personal stamp on your fence, we’ve got you covered. We hope you find as much inspiration here as we did. Some of these projects are easier to complete than others, but they are all as unique as can be. 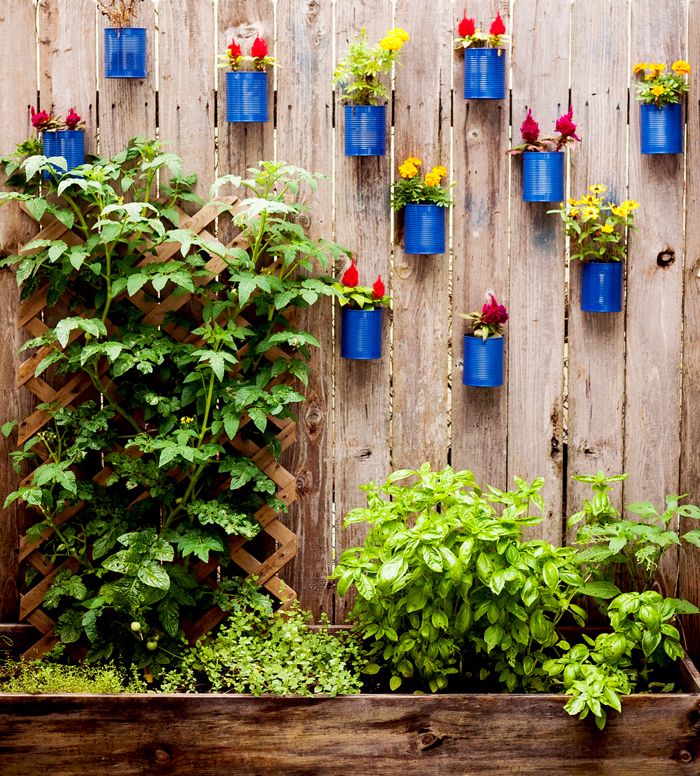 There’s no more stylish way to expand your garden and save space at the same time! After peeling off the labels and rinsing a used can out, you can paint them vibrant colors and fill them with small flowers. Suspend them from the fence posts to add a pop of color to it. This is a simple DIY that is easy to finish in a single afternoon. Just be sure to drill holes in the bottom of each can for drainage! It’s such a shame when your favorite purse goes out of style. If you’d like to empty out your closet, but can’t bear to give them away, try converting them into beautiful, clever fence planters. The handles make them easy to display! Choose a wide variety of materials, patterns, and styles for the greatest effect! Even if you don’t want to sacrifice a favorite purse, you can create simple shelves to house smaller plants in containers. These plants are easy to switch out whenever you so desire. Hang varying sizes and shapes for a more dynamic design. This is an easy project that you can finish in a single afternoon! A metal hanging basket that’s designed to hang on the side of your home is a perfect way to easily add character to a fence. Try adding multiple kinds to create a collage. Choose different sizes, styles, and materials to achieve the collage effect, in addition to a variety of flowers and greenery. 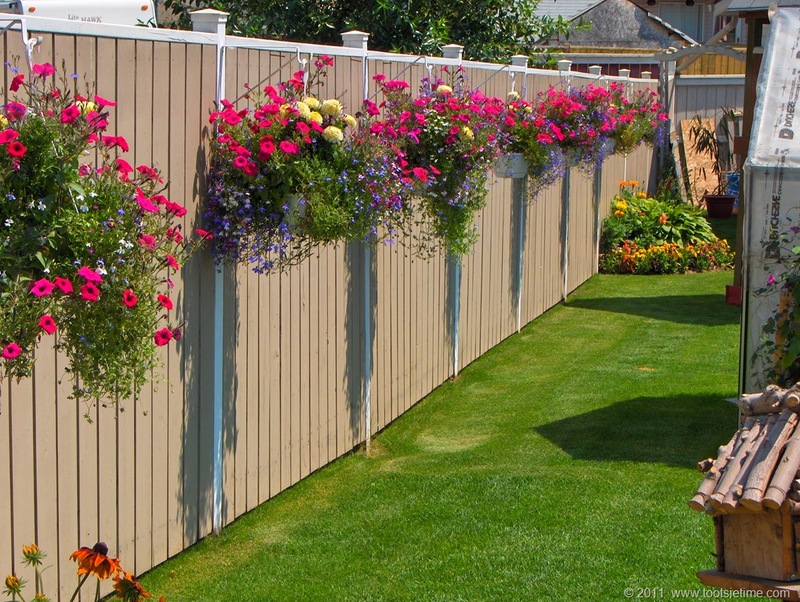 Here is a great product that you can use to decorate your fence. These are constructed with sturdy steel that will last for years, and the color will enhance your plants. You can get these on Amazon here. 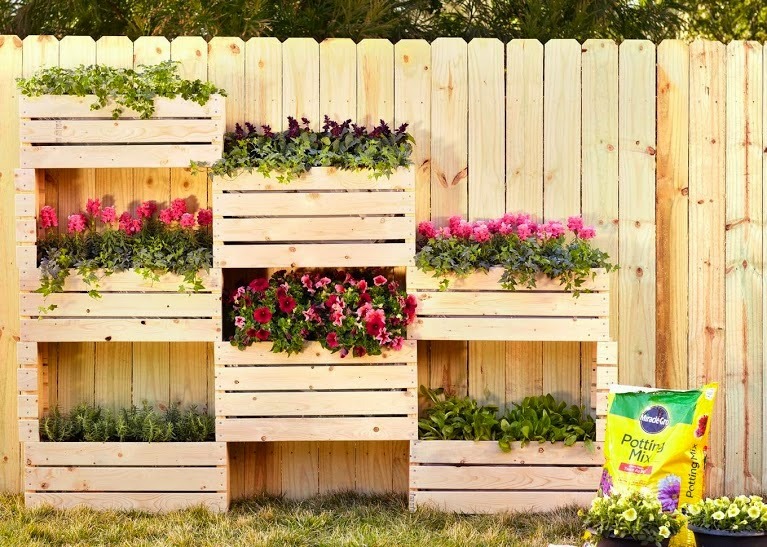 Build a free-standing wall of crate fence planters by securing old fruit crates together. These aren’t attached to the fence, but they do look fantastic against the wood backdrop! 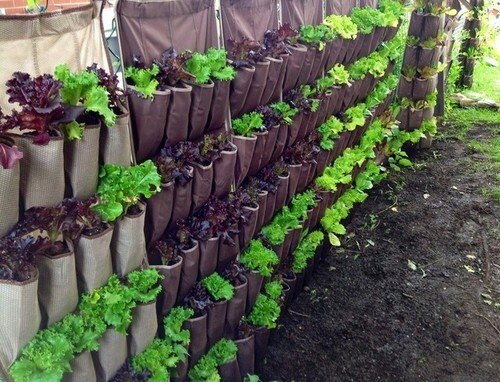 These planters are deep enough that you could use them to plant vegetables like carrots or potatoes easily. Or, if you prefer, you can completely obscure part of your fence by transforming it into a grid that houses ivy and succulents. 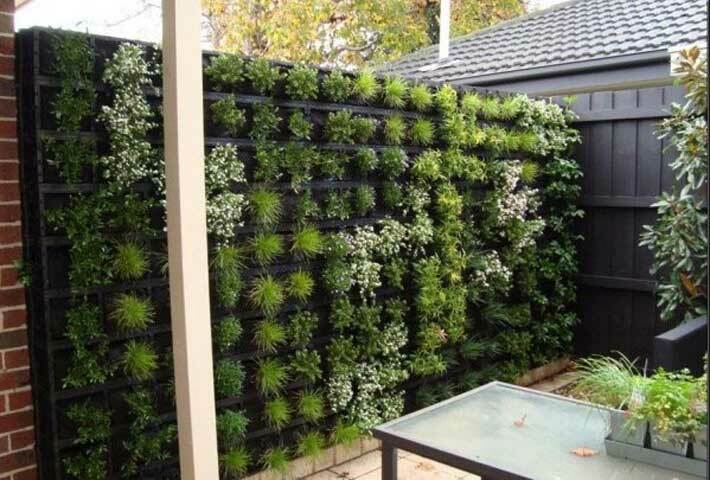 This vertical garden is a gorgeous and unique addition to any backyard, although particularly to small yards that can’t have a traditional garden. Hanging baskets aren’t just for your front porch anymore. 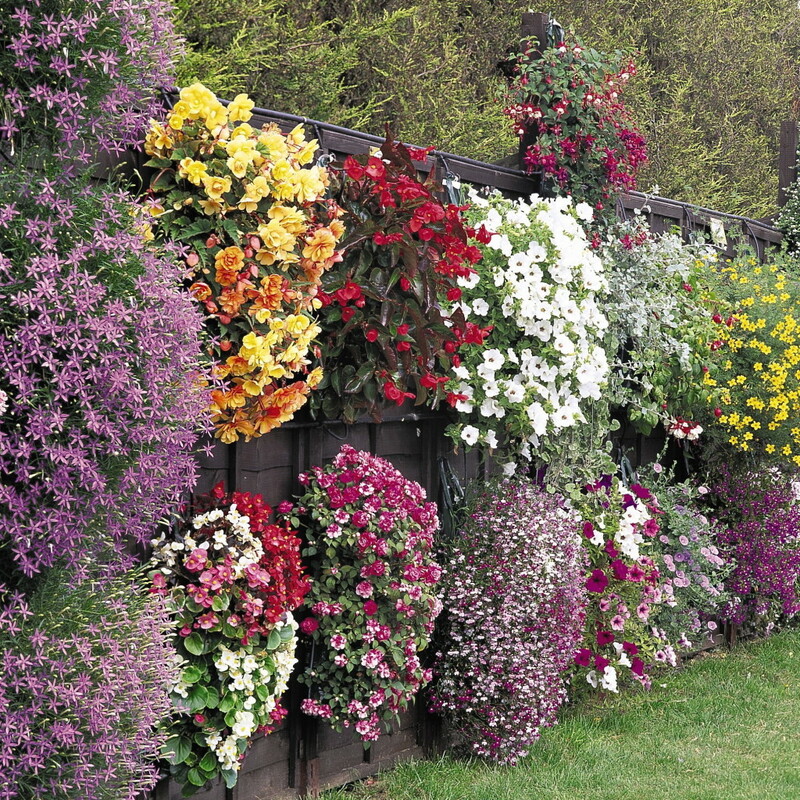 Install hangers at the top of your fence and hang a row of colorful hanging baskets to brighten up the space. Be sure to pick hanging baskets that will do well in the sun if there’s not much shade by your fence, so your pretty display doesn’t burn up in the summer heat! 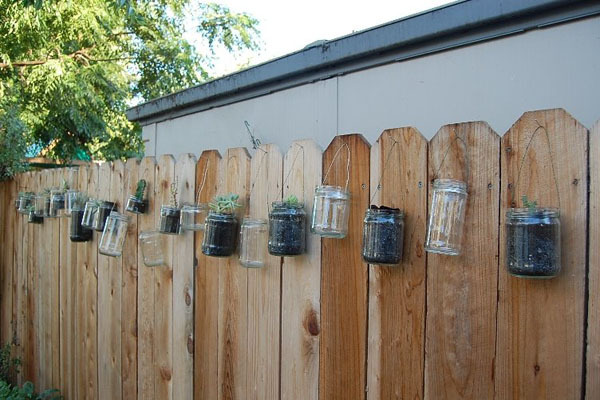 Here is a super easy idea for your fence. 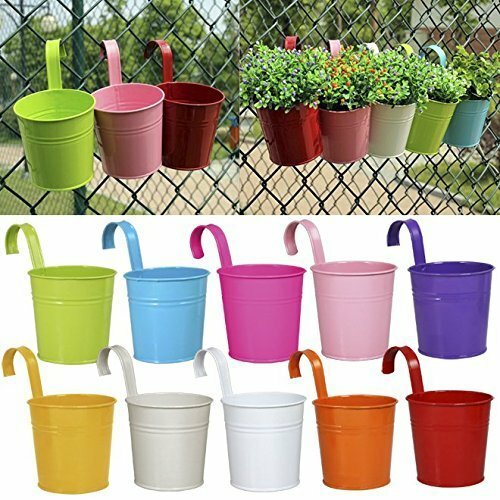 These metal flower pot containers can be easily hung from any fence. And the come in different colors. 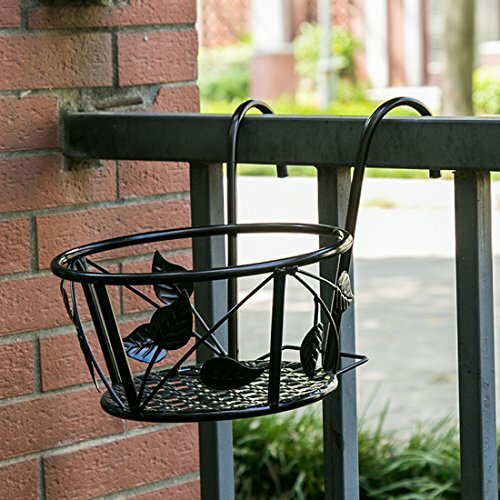 A shallow attached tray is a sturdy way to add color and delicate flowers to an ornate wrought iron fence, without adding anything to take away from the design of the fence. 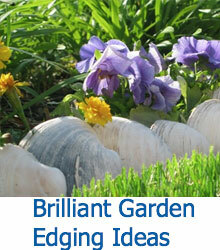 this option is perfect for casual gardeners or those who don’t want to dedicate much time to a DIY project. 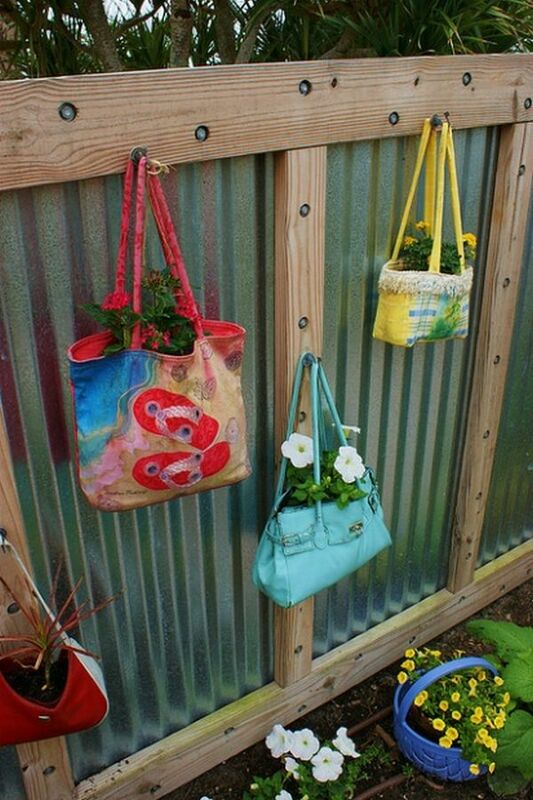 Shoe organizers are a great way to add gardening space to a fence. Each individual pocket allows you to nurture a different herb, veggie, or flower. 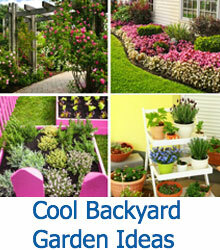 This method is best for vegetable gardens or for herbs. These can also be hung anywhere in your yard, just be sure that you use sturdy posts. Much like the tin cans, glass food jars can be emptied out, washed, the labels stripped away, and filled with plants. A wire is used to suspend each jar from a nail at the top of a fence post. Make sure you carefully make drainage holes. This is a bit tougher with glass jars, so you’ll need to make sure you have the proper tools. 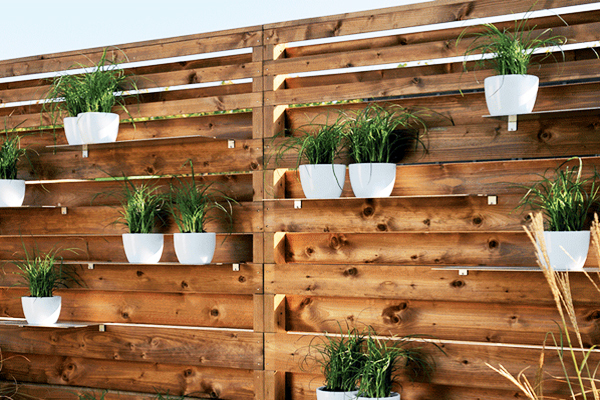 An enormously tall privacy fence has built-in shelves that have long gutters attached, creating multiple levels of planters to be filled with draping ivy or other plants. This is a minimalist way to add gardening space to a small yard, or one that is dominated by a large patio or pool complex. These enormous bundles of flowers are growing down and out, creating a wallpaper of flowers. The variety of species and colors creates an incredible display that you’ll love looking at. Eventually, the fence itself will be completely overgrown with flowers, hiding any eyesore. You can create a simple planting bed for shallow-rooted plants by attaching a longboard to your fence to create a V-shaped planting bed. This is an excellent way to dress up a plain fence, without breaking your budget or setting into motion an enormous project. Paint old gutters and attach them to your fence. The shallow planting beds are perfect for succulents and ivy, which will create a cascading effect, much like water. Against a brick fence, this is especially attractive. If you’re feeling creative, try placing your gutters at a slight angle to enhance the cascade. 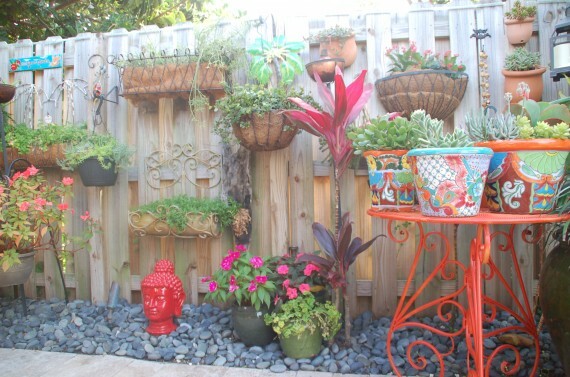 Add thin shelves between the slats of a fence with horizontal slats to achieve a container garden that looks as though it is floating. Use matching containers with similar plants to create a mirror-like effect. 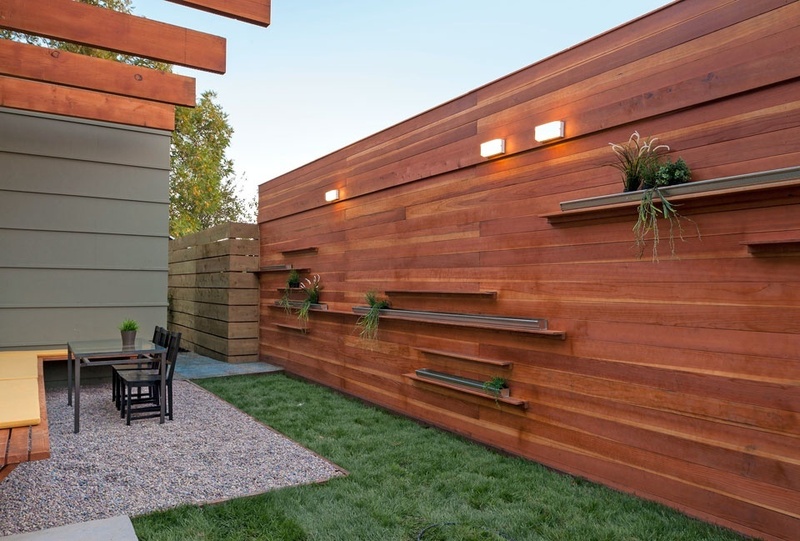 The horizontal slats of this fence allow light to stream through without exposing your yard to prying neighbor’s eyes. Window planters are a great way to enhance your outdoor space, and this planter has a black iron design that will look great in any space. This planter is 30 inches in length, so it will fit on any window with ease. 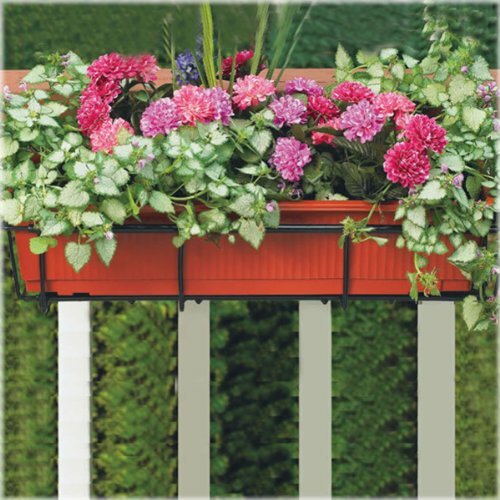 There is a coco lining in the iron rails, which is ideal for optimal drainage of your plants. Versatility is great in a window planter because you never know what kinds of rails you’ll be placing the planter on. 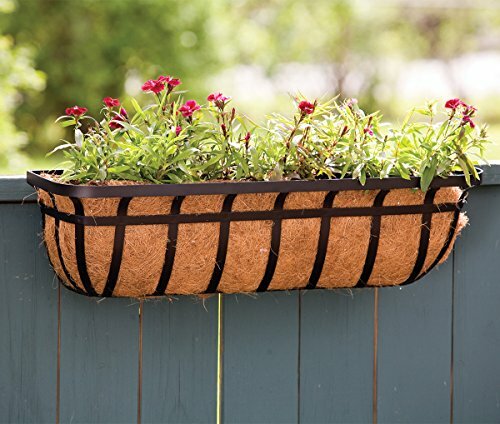 This planter has a design that will fit on different rails so that you’ll always have a nice fit. It also has a resin construction that’s designed to be very durable. This sand-colored planter has a longer design for more planting space. Terra cotta, which has a very natural, earthen appearance, is excellent for helping to accentuate some of the colors of flowering plants. This versatile window planter has a base that will accommodate most windows, and the plastic used for this product is designed to not fade in the sunlight. The rim on this product is very pronounced, which looks attractive on your window. If you have plants that don’t need a lot of space, then these planters can work out for your home’s visual aesthetic. 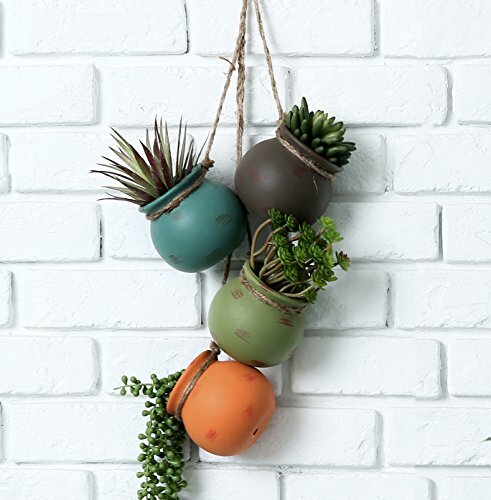 These planters hang freely on very strong twine, and each pot has earthen, natural colors, which are very attractive. 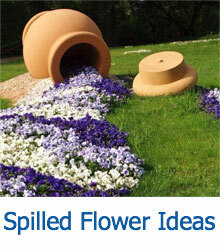 There’s a drainage hole at the base of each pot so that excess water can drain freely. 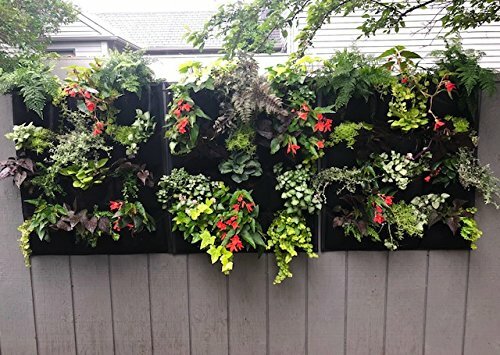 If you’re looking to make your walls and fence areas look more verdant, then this wall planter is a great place to start. 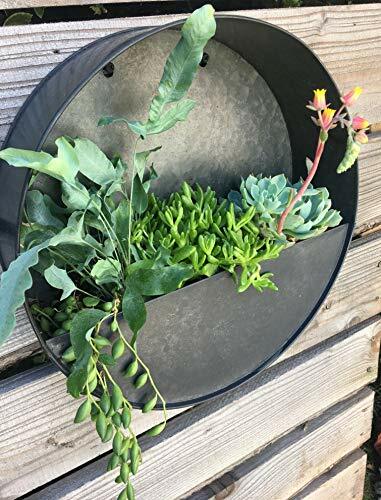 There are 12 pockets that you can use to plant a single plant with this planter, so you can opt to plant a single type in all 12, or you can vary up the foliage by growing multiple types of plants. This bracket has a classic design that just about any plant lover will instantly recognize. 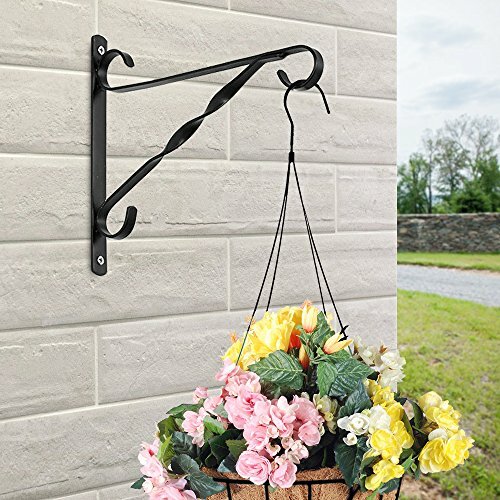 To install a product like this, you simply screw it into your walls and hang whatever plant you fancy from its attached hook. 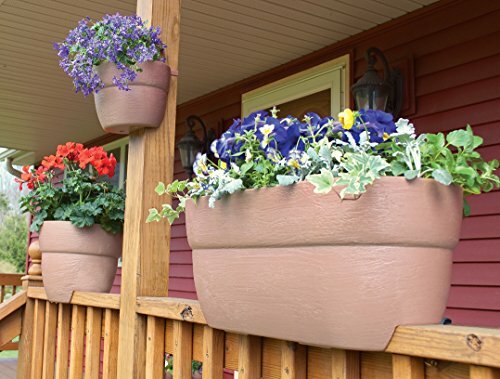 This type of planter is very sturdy and will hold a variety of heavier plants, and it’ll easily install onto a variety of surfaces. 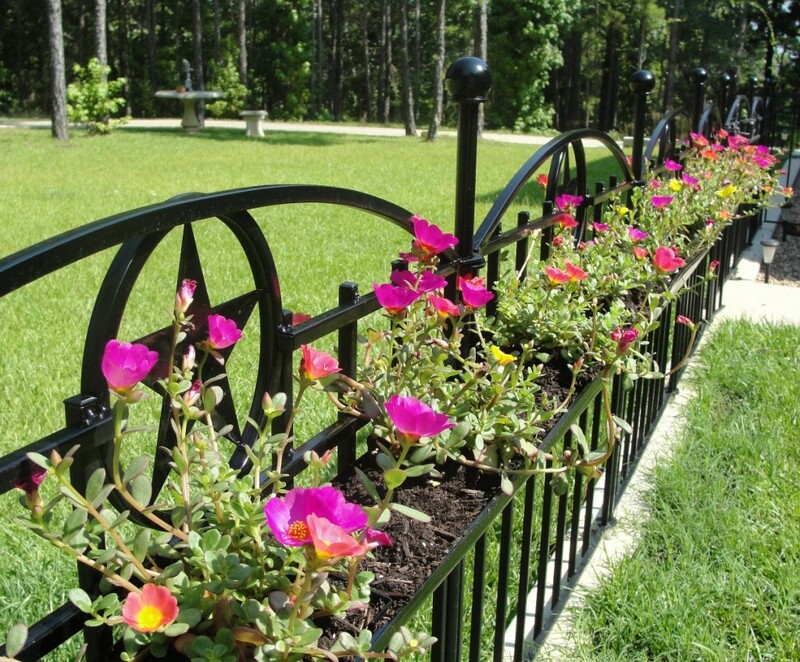 Strong bars and versatility are major features of this fence flower box holder. It will hold a very long flower box, and it has a very sturdy metal construction that’ll ensure stability. The metal is weather-resistant and coated so that a little rain won’t cause rust, and the bars are shaped in such a way that they look elegant and understated. When you’re looking to add a natural accent, this round wall vase planter is a great option. It has a beautiful aesthetic that is great for hanging plants like spider plants or devil’s ivy, so if you’re planting these or other succulents, this is an excellent planter to use. The product is made of lightweight metal and is also very easy to hang. 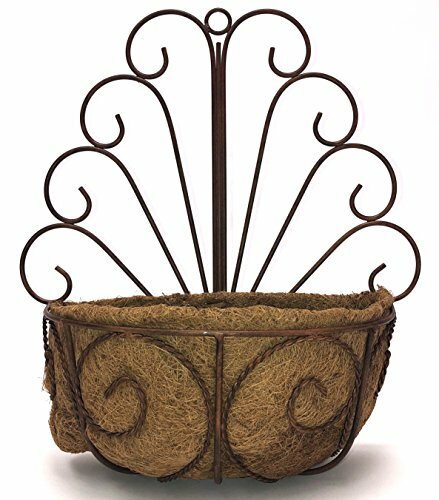 Lined with coco, this wall/fence basket planter has a peacock design that uses metal bars to provide your plant with stability. As a planter that you can use outdoors, it’s designed to be weather-resistant thanks to the powder coating on the bars. The bars are brown, so they have a very earthy look to them that works well with a variety of plants and décors. 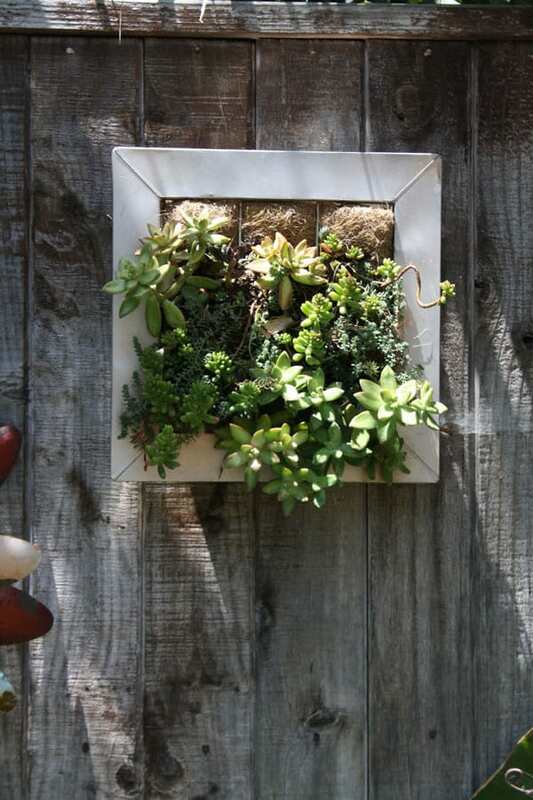 This planter is unique because it is designed in the wall of your garden itself. There is a coco liner to keep the soil in place, and bars to keep the succulents that you plant from growing out of control. 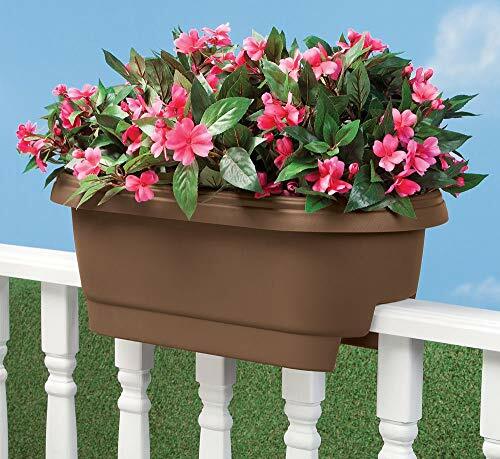 Flowers will also look lovely in this planter, especially plants that you can train around the bars and down the wall.